This image depicts the Little River in Stowe. 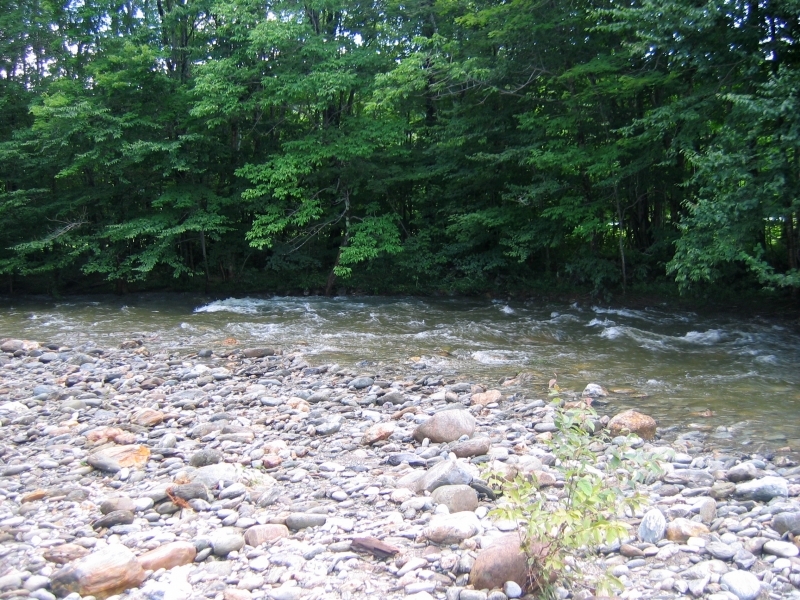 The image highlights the shift in the river through the rock deposits in the foreground. In the background there are deciduous trees along the river.